The aims of WP3 were to draw on work from across the Consortium as well as from external sources to establish robust guidance procedures for the design, development and evaluation of marine energy converters; to advance the science of performance measurement; and improve testing protocols to underpin the development of internationally accepted codes and standards. Based on analysis from WP1, a generic method was developed to relate power capture from a wave device to the statistical properties of the sea. This has shown that conventional time-averaged calculation provides limited information and can underestimate power and energy production. The relation between sea spectral bandwidth and the width of the device power transfer curve has been assessed in terms of spectral shape, device width and ability to tune. Numerical modelling was considered to predict array affects and was applied to a tidal site in order to determine 50 year extreme wave conditions for design purposes. A guideline for the systematic assessment of tidal current resources was established enabling accurate determination of the accessible energy from any suitably defined site. As part of WP2, a comprehensive written appraisal of fluid modelling for all of the appropriate commercial computational fluid dynamics (CFD) and hydrodynamic software packages was produced to guide understanding of the principles and the comparative advantages of different approaches and packages. 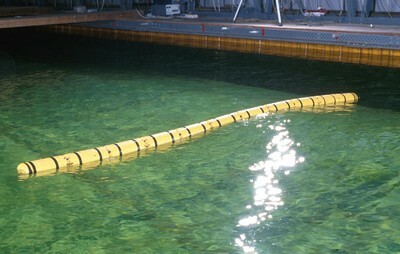 A test rig was designed and constructed to investigate device response in irregular wave fields. Uniquely, the mechanical properties can now be defined to be time-varying, allowing the investigation of a wide-range of 'control' strategies, linking to work in WP7 and WP9. Experimental measurements showed the influence of the wave spectrum bandwidth on the power captured by a flat plate constrained to oscillate in surge. The captured power reduced with increasing bandwidth of the incident wave-field. For a surging flat-plate element, the captured power can vary by up to 15% due to irregularity of the wave-field and up to 50% due to variation of bandwidth of the wave spectrum. Further work has indicated that performance losses are dependent on the form of the collector element and this has provided guidance on the range of validity of the frequency domain numerical models that are typically employed to estimate the performance of oscillating-type wave energy devices. A comprehensive review of reliability data sources relevant to marine renewable energy led to the production of a database of component failure rates. The use of data from other industries introduces uncertainty into any assessment and the application of Environmental Load Factors was considered. An availability model, incorporating a structural reliability assessment and fault/event tree analysis, has shown that the availability of a generic tidal current turbine could reach 94%. The limited extent and nature of available data were considered and acknowledged. A Monte Carlo based simulation was developed to understand the implication of these uncertainties on the determination of reliability and availability. This information fed into and drew from WP7 and WP12. 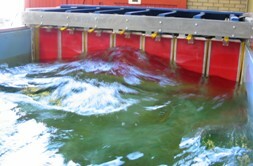 A functional analysis of wave energy converter types was reported. 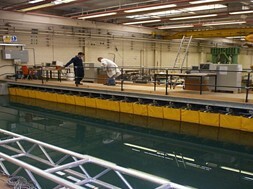 In conjunction with work in WP8 and WP10, the tank test facilities in the consortium and the facilities in Orkney were used to review aspects of tank and full-scale testing. A web-based tank test discussion forum was created and used across the participating community. 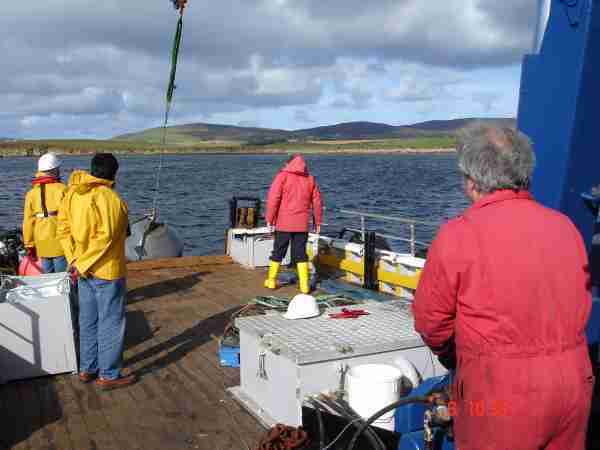 The Department of Trade and Industry funded complementary research to produce preliminary Device Performance Testing Protocols for full-scale tidal current and wave energy devices. The Protocol documents now form the reporting requirements placed on participants in the £42-million 'Wave and Tidal-stream Energy Demonstration Scheme' component of the government supported 'Marine Renewable Deployment Fund'. Further, the procedures advocated in the Protocol documents are now forming the basis of various draft Standards currently being developed under the auspices of IEC/TC 114 Marine Energy. This WP interacted extensively with the landscaping and road-mapping work carried out by the UK Energy Research Centre (UKERC). A description of the technology innovation chain, from the R&D base to developers undertaking or nearing deployment was constructed by paper study and interviews of many participants across the sector. External influences on the progression of the technology and sector were identified and used to establish alignment and disparity between available funding and the forecast direction of the industry. Work on technology learning rates exchanged information and linkages with the R&D road map. This work was heavily consultative and consensus based, with around 50 interviews and several road-mapping workshops well-subscribed by participants across the sector. A knowledge base was created by secondary research. Consortium staff nominated and summarised the most useful peer-reviewed and accepted journals, texts and standards from current and 1980s research programmes. Collections of seminal reports from the 1980s were turned into ".pdf" files and are being made available on the web-site. All publications by the consortium listed in this report have their abstracts and source indexed on a database on the web-site. There is now a central resource of documented R&D output including old and new experience, and a R&D Roadmap defining sequential priorities and needs to support the sector from concept to deployment.